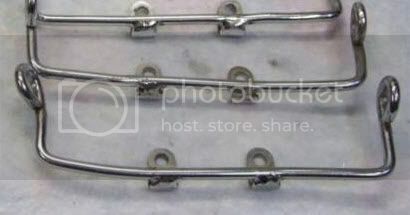 Can someone confirm that this bar is what was used on a 76/77 SS for the rear blinker mount ??? Can`t say I know if they were on 76 SS but they are the ones that were on my 76 GTS. I thought they were the good old days for the SS and had no need for flashhers. The bar in your picture is different to my Nov 1977 900SS. It has just a straight chrome bar with two tabs welded to it which bolt through the guard. Exactly as shown on the 1977 model in Falloon's book! Quite a bit simpler and lighter than the ones in your picture. Difficult to tell, but your pic could be the ones shown in the book on the 1976 models - or the 1977 prototype which came to Australia. These had a different rear light mounting unit - much larger. Let me know if you want a pic of mine. Just found out that the Imola tank was an original option on my bike. Fibreglass wasn't illegal here then - the frame actually has the mounting points for both. Have a friend who raced a new 900SS at Bathurst in 1977 - his also had this tank. He got it because it was lighter and had slightly larger capacity. He rode it to Bathurst - the long way - from Sydney to run it in before the race! I'm getting a steel tank anyway. Worried about modern fuel with the fibreglass, although seems ok at the moment. How many Ducatis is too many? Just saw this post and thought I'd add a note. 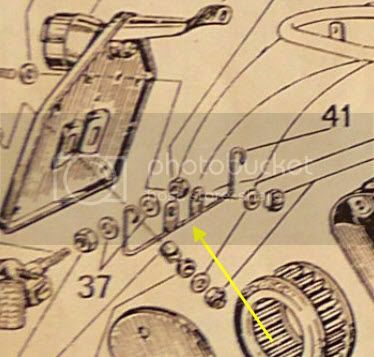 The straight indicator bar was first used to mount CEV indicators to the rear fenders of the US model 77 SS. I suspect you have CEV indicators, probably with side reflectors, mounted on your bike Brian. The SSs for other markets had Aprilia indicators ( with or without side reflectors and in black or chromed) mounted on the rectangular loop bracket illustrated above. From very late 77, all markets had CEV indicators with the straight bracket. The Aprilia indicators are nice to look at in the hand but are so tackily mounted that they spoil the look of the bike.